After nearly three months of despair, anguish and lonely nights spent in the fetal position, the Premier League is finally back! While the 2018 World Cup may have briefly satiated our hunger for football, there’s only one league which features the best players in the world, and then some Joe Hart just to even things out. Here are our winners and losers from the opening round of Premier League action. Manchester United kicked off the season with a fairly comfortable 2-1 win over Leicester City. While the Foxes did make things interesting and probably could’ve scored more if Kelechi Iheanacho finished some of the opportunities he was given, United were ultimately deserving of the victory. Paul Pogba opened the scoring inside five minutes with a well-placed spot kick, which featured one of the longest run-ups in Premier League history (probably) but the second goal came from a more unlikely source. Luke Shaw, who had never scored in the Premier League, fired home from close-range to give Jose Mourinho’s men their second of the evening. After initially losing control of the ball, the Englishman did well to recover and put it past Danish keeper Kasper Schmeichel. After being on the receiving end of some harsh criticism from Jose Mourinho in the past, Shaw was delighted to finally find the back of the net after 104 Premier League games. “It was my first goal and that is all that was important, it doesn’t matter how I scored,” he said. “I was meant to come inside and I managed to get in front of him and put it in. It’s the best feeling I have had in my career. For the first time since 1996, Arsenal fielded a team compiled by a manager not named Arsene Wenger. The Unai Emery era began in questionable circumstances, with 36-year-old Petr Cech starting ahead of new signing Bernd Leno, and 19-year-old Matteo Guendouzi given the nod ahead of Lucas Torreira. Facing the reigning champions in your first game in charge is no easy feat, however, failing to start two players who could’ve given Arsenal the bite they needed is borderline unforgivable. The only saving grace for Emery is the fact that Cech made some fantastic saves and Guendouzi showed maturity far beyond his age. It was certainly a gamble by the Spaniard which didn’t quite come off, but Arsenal fans are left wondering what could’ve happened if it was Torreira defending Sterling on City’s first goal, rather than the young Frenchman. “It’s his first match here in the Premier League. The Gunners travel to Stamford Bridge in MD2 to face Chelsea, who came away with a convincing win against Huddersfield. Emery will need to act swiftly and decide whether to start Torreira or stick it out with Guendouzi, but Arsenal fans won’t be happy should they find themselves six points behind the league leaders. The most comprehensive victory of the weekend came at Anfield where Liverpool dismantled a new-look West Ham. The Hammers splashed the cash in the off-season, bringing in the likes of Andriy Yamolenko, Felipe Anderson, Carlos Sanchez and Lukasz Fabianski. These names certainly won’t win the Premier League for West Ham, but it was undoubtedly meant to make them more competitive. Obviously someone forgot to tell Liverpool as the Champions League finalists decimated Manuel Pellegrini’s side with Mo Salah opening the scoring early before Sadio Mane and Daniel Sturridge secured the win for the Reds. While Mane was clearly offside for his second goal, it was a display which will have Liverpool fans on the edge of their seats. After signing a plethora of players, particularly midfielders, Klopp was pleased with the work ethic of his incumbent players as Fabinho and Shaqiri started the game on the bench. “Naby had six weeks’ pre-season with us. Together with Millie and Gini, they had all of the pre-season. That’s really good. “You saw that helped a lot and helped him; organisation always helps. And in the moments when he [Keita] gets the ball, you can see he is quite a nice footballer. A huge blow for Manchester City as reports emerged that Kevin De Bruyne had suffered a serious injury to his right knee in training. City say that the extent of the injury is “not yet known” however any time of the sideline for such a pivotal player could be disruptive for Pep Guardiola. The purchase of Riyad Mahrez will certainly act as a safety net for the reigning champions, who beat Arsenal with Leroy Sane, Gabriel Jesus and KDB all coming off the bench. The depth certainly showed as Bernardo Silva scored the winner for City with a tidy finish into the top corner, but problems will come to light once the Champions League and cup games begin. With multiple reports suggesting that KDB could be out for two months or more, it’s certainly going to be an adjustment for City as they look to replace the 27-year-old. The Belgian international played in 37 games last season, scoring eight goals and assisting another 16, as City charged towards a record-setting Premier League title. Retaining the trophy is no small feat, with City’s crosstown rivals, Manchester United, the last team to win titles back-to-back. But Pep Guardiola is prepared for what could be the toughest season of his managerial career. “Maybe here it’s more complicated because of the contenders. All the teams are good. Imagine at the start of last season, saying we are going to make 100 points. So it’s the same situation – at my first press conference, saying we’re going to make 100 points – impossible. After a disappointing conclusion to a lacklustre campaign, Everton fans were crying for change as Sam Allardyce made way for former Watford coach Marco Silva. Along with the Portuguese manager came promising starlet Richarlison, who bagged five goals in 41 appearances for the Hornets. While it certainly isn’t the most dazzling set of numbers, the potential was certainly there. The 21-year-old was the first signing in a transfer window which saw Yerry Mina, Andre Gomes, Lucas Digne and Bernard join the blue half of Merseyside. The Brazilian bagged a brace as Everton left the Molineux Stadium with a well-deserved point but both sides had fantastic showings and displayed the pre-season promise that both sets of fans were anticipating. 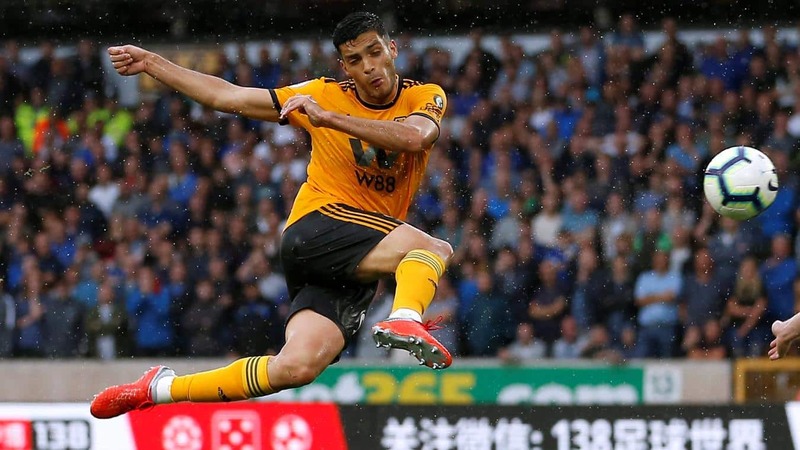 The Portuguese dominance of Wolverhampton certainly came through as well with Ruben Neves scoring a scintillating free kick then going on to set up Raul Jimenez for the equaliser. 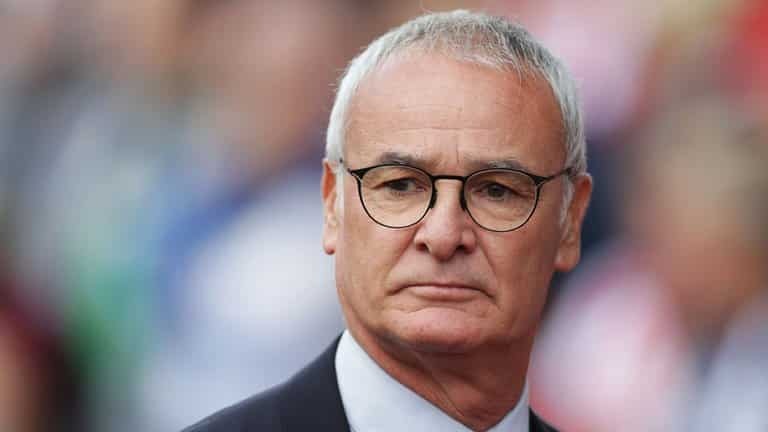 Prior to the beginning of the season, but sets of fans had plenty to be hopeful about, but rarely does promise actually turn into results on the pitch. While both Everton and Wolverhampton would’ve preferred the victory, a draw was appropriate. Both teams impressed immensely, and not many people expected this game to bring about so many highlights and storylines. Safe to say that these two teams will be ones to watch throughout the rest of the season. The Saints finished last season on a whimper and came dangerously close to being relegated from England’s top flight, so some kind of response was expected in the first game of the new campaign. But much like last season, Southampton were firing blanks and struggled to score against a solid Burnley side. While the Clarets had one of the best defences in the league last season, Mark Hughes surely reinforced how important it is to start the season with a victory. Summer signing Danny Ings came off the bench and provided a spark for the Saints but ultimately they couldn’t find the back of the net as Joe Hart repeatedly thwarted every attempt on goal. Many have started to ponder whether Southampton belong in the Premier League any more, and if this season could be a mere formality for a side which finished in the top half of the table for four consecutive seasons. Mark Hughes’ side are known for selling their stars to bigger clubs but it’s clear that the money hasn’t been reinvested properly. While training facilities may improve and academy coaching will help the youth teams, it’s the first 11 which run out onto the pitch and earn the money for the club. Southampton can’t sell big name players if they don’t have the money to bring them in. A once-in-a-generation type player might eventually save the Saints, but how long do fans have to wait until the next Gareth Bale comes through? Another 15 to 20 years of promotion and relegation? Considering all the money that is being thrown around, there’s never been a better time to stay in the Premier League. Check out more football news here and don’t forget to let me know your thoughts on Twitter.